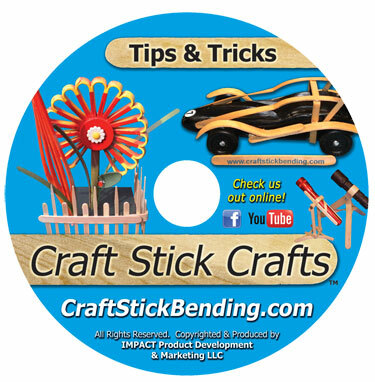 Craft Stick Crafts and Craft Stick Bending Tips & Tricks DVD. 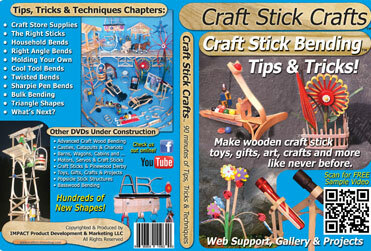 Make wooden craft stick toys, gifts, crafts and more like never before. • Our food grade, popsicle sized, craft sticks. • Our medical grade tongue depressors. • Soon to offer the right glues, clamps, tools and more. Packaged in Cardboard box, will fit is standard size mailbox. Shipment comes from Washington State. *You can add one additional How-to DVD, just add the cost of the additional DVD. The shipping cost remain the same. 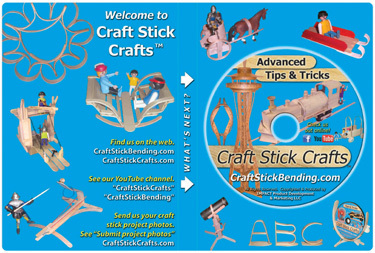 The additional DVD makes a great gift for a friend, share Craft Stick Crafts together. For purchases of 3 or more DVD contact us directly for shipping charges. *Shipment includes free craft surprises. Did you sign up on a contact page for our free newsletter?